Find below the list of top IGCSE / Cambridge schools in Kolkata with phone number, address, 360° School tours, 2018-19 Admission forms & Fees, photos, facilities & more. The Cambridge School (TCS), a Kindergarten to Class 12 international school offering the world-ready and universally accepted Cambridge 'IGCSE' and 'A' level qualifications, is Calcuttas oldest and largest Cambridge-affiliated school. 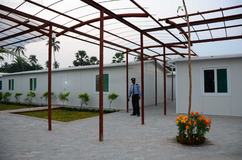 Oaktree International School opened in September 2011 as the first co-educational IB World School in West Bengal. It is currently housed on a 5 acre site but plans are underway to increase the space over 30 acres. Students are enrolled from grades 8 to 12 in either the Cambridge International Examinations or the IB Diploma programmes. The rich heritage of La Martiniere is not measured merely with the passage of time. La Martiniere has evolved, in its journey striving always to fulfil the vision of its Founder, to provide holistic education to the youth, to make them responsible and worthy citizens of our country. Ballygunge Government High School, or BGHS, is a school in West Bengal, India. 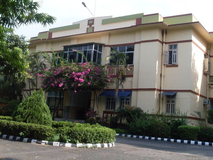 This is a boys only school for secondary and higher secondary level students. Its medium of instruction is Bengali. 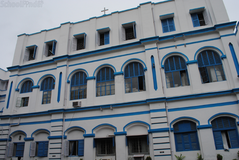 It was once considered one of the best Bengali medium schools in Kolkata and continues to be a good one. 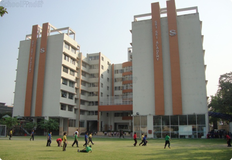 The campus includes a fairly large play-ground and the school offers variety of extracurricular activities for its students. 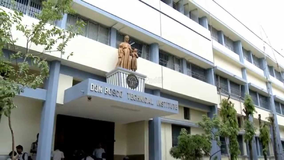 The school has produced many well known academics, film and theater personalities, journalist and musicians. Currently, there are over 500 students enrolled at this school. 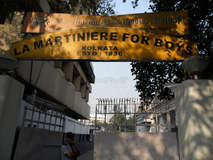 The school is adjacent to Kolkata Regional Transport Office (RTO)/Ballygunge police station. You may also be interested in other schools of Kolkata. Modern High School for Girls, committed to developing creative and independent individuals, was founded by Mrs. B.M. Birla on January 3 1952. The School was set up at 28, Camac Street initially with Mrs. Violet Clarke as the first Principal. 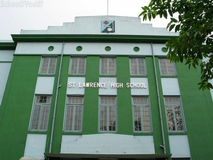 In 1953, the senior school moved to a new location 33, Theatre Road (now Shakespeare Sarani), Calcutta (now Kolkata). The junior school remained at the same location. Don Bosco, whose name adorns over 2032 educational institutions and who has 16,385 followers all over the world, was a visionary - not merely metaphorically speaking, but literally. He had visions which, in his humility, he called 'dreams'. He himself has said that he never took a step, never initiated a project, unless he had been directed by heaven to do so. And the medium, through which heaven communicated its message to Don Bosco, was his, 'dreams'. Calcutta is a city of Don Bosco's dreams! Our vision encapsulates the aspirations of our founder, the late Syt. L.N. Birla an eminent thinker and a renowned industrialist. He founded Hindi High School in 1941 with the aim of imparting an education that would combine the best of Indian thought along with western techniques. In 1997 Hindi High School was rechristened Birla High School, marking the beginning of a new era of growth and development, in keeping with global trends. Students who fare well in high school are eligible to apply for admission to the Birla School of Management which is situated in the campus. St. James' School was established in 1864. It was inaugurated by the then Most Revd. George Edward Cotton- the Bishop of Calcutta on 25th July 1864. Almost from its inception, reports show that these were years of stress and struggle. In the first twenty years of its existence the school faced intensive financial difficulties and had to be closed in December 1904. According to reports, there was an upsurge of sentiment on the part of parents, well wishers and old boys at the closure of the school. In 1907, with financial assistance from the Church Education League, the school was reopened. However, again it ran into difficulties and closed in 1918. Relying on the evidence of a few surviving records, we find that the tenacious spirit of the school made it open its doors again in 1924 under the Rectorship of The Rev. Thomas H. Cashmore, also the Vicar of St. James' Church. Rev. Cashmore established a renaissance in the life of both church and school. He had a strong feeling for the traditions the school had established in the half century of its existence, particularly in the field of sport, looking back to school's triumphant winning of the Beighton Cup in hockey in 1900. You and your child deserve to be looking only at the top IGCSE / Cambridge schools in Kolkata. We at Sqoolz, have created an all-encompassing list of best IGCSE / Cambridge schools in Kolkata so that you can pick the one that is most suitable for your needs. Is the location viable? Is the school big enough? What additional facilities do they provide? Find answers to all the important questions with us. You can even take our virtual tour and see for yourself whether or not the school fits your child's needs.